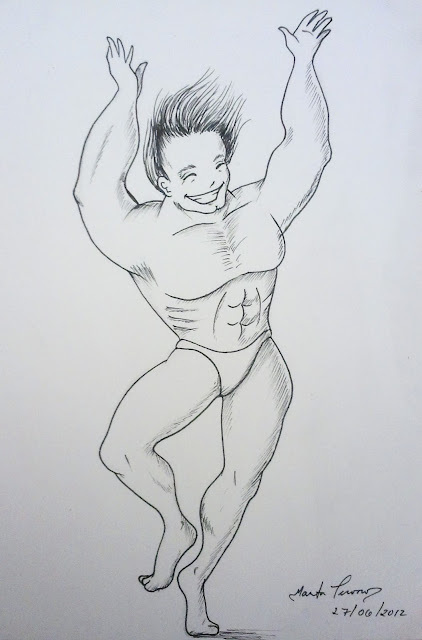 Something I doodled very quickly at the gym for my friends blog: MANLY SHOW You guys should totally check it out! I've had some program issues today ...hopefully I can get that sorted out tomorrow. In other news, incase I forget to mention it, I won a new set of watercolours from Canson in one of the competitions! I am very happy. You all should check their facebook page out and like them! Find out art events, competiitions and give aways!